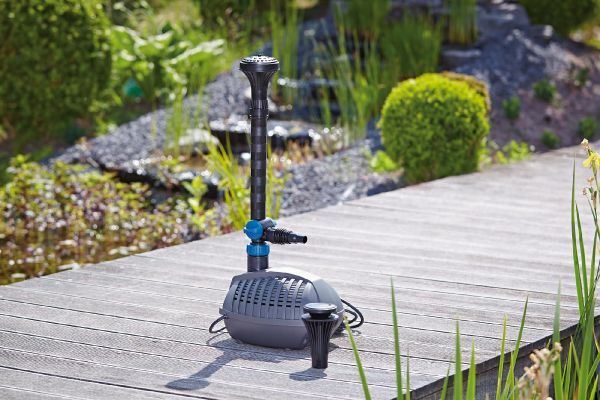 OASE Engineers in Germany have developed the superb energy-efficient Aquarius Fountain Set Eco 9500 Pump for providing decorative fountain displays in ponds and garden water features. The new motor technology offers powerful 9,500L/Hour performance yet consumes only 125 watts. 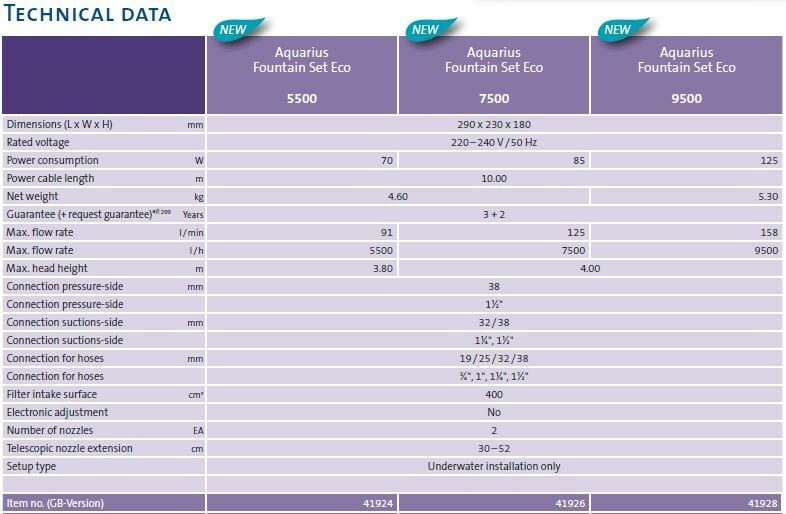 The Aquarius Eco 9500 is supplied with the Vulkan 37-2.5K multi-tiered fountain nozzle and the Lava 36-10K water bell nozzle for creating highly attractive water displays of up to 3.35 metres height. 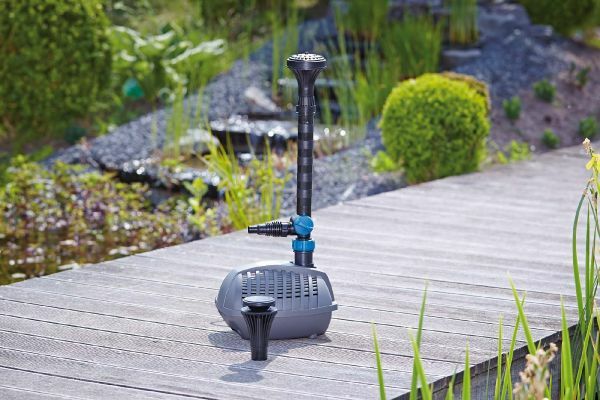 The Aquarius Fountain Set Eco 9500 also features a swivel joint which allows the nozzle to be aligned correctly even if the pond floor is not level. The additional secondary water outlet can be used to provide water flow to a small waterfall or water feature and the flow to the fountain and the second outlet can be independently adjusted. 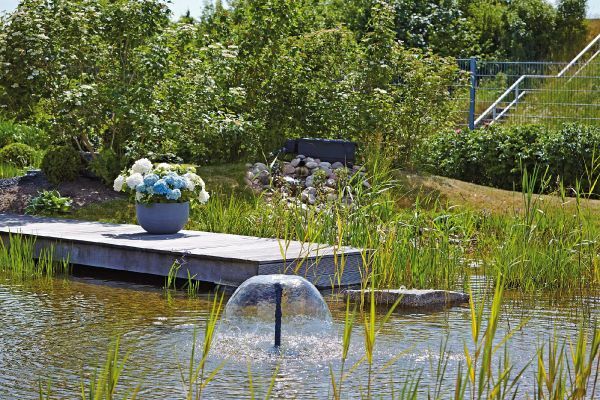 An adjustable Telescopic Riser is supplied to allow height adjustment to suit the pond depth. 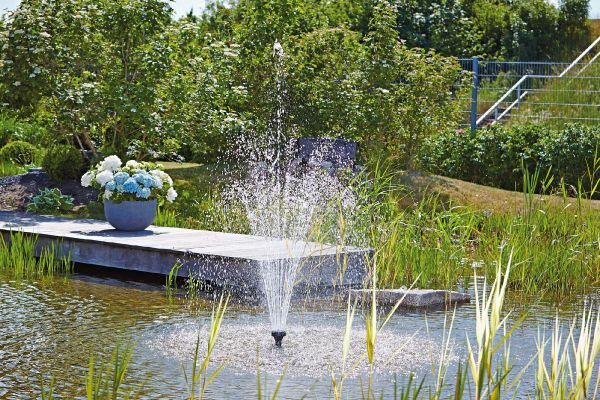 The pump is protected by Oase's innovative EFC (Environmental Function Control) which will automatically switch the pump off in the event of accidental dry running, to prevent damage to the fountain motor. The Eco 9500 Fountain pump is supplied with 10 metres of 230V Mains Cable. 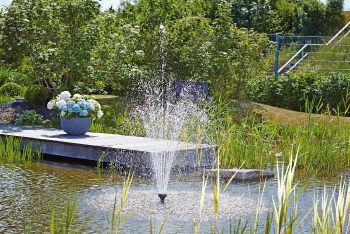 Vulkan Multi-Jet Nozzle will produce a fountain display of up to 3.35m height x 2.75m Diameter. 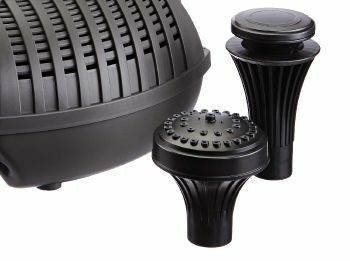 Lava Nozzle will produce a water bell display of up to 90cm diameter. 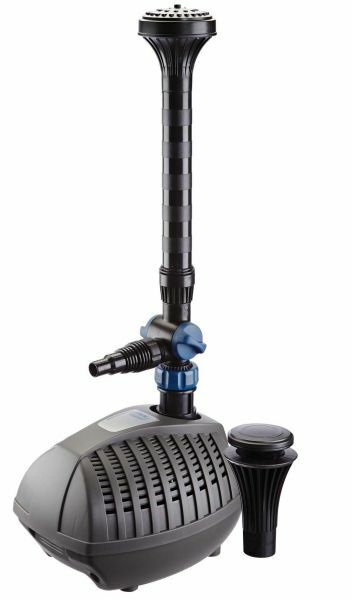 Only 125 Watts power consumption. 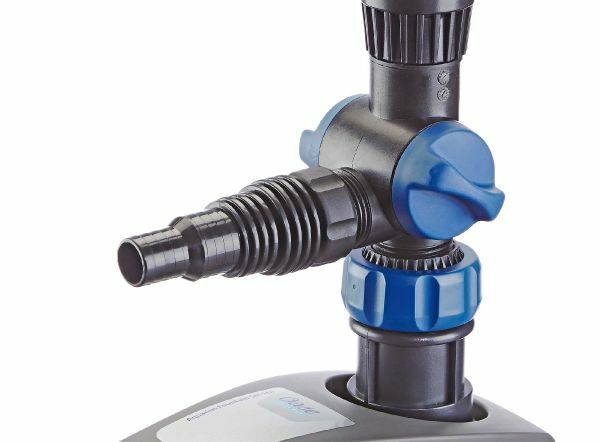 Max Flow of 9500 Litres/Minute. Max Head of 5.2 metres. Full 5 Year OASE Guarantee. 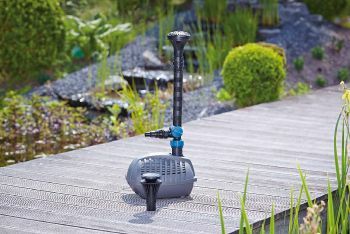 Superb pump, great fountain, so much better than hozelock lol easily assembled and weight of unit means you dont need to fix it down likethe hozelock which needed securing to a slab for maintaining position in the pond.